Lock in a great price for All Rankins Eco-Lodge – rated 8.3 by recent guests! The garden was beautiful and well kept. 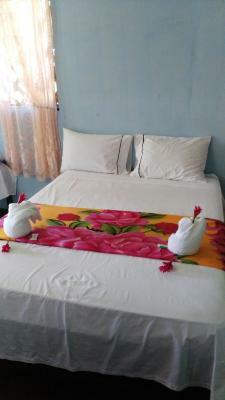 The owner and staff were hospitable and accommodating. 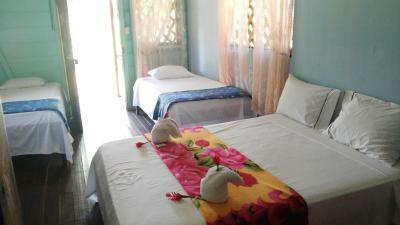 Great relaxed Location and beautiful gardens outside of the main town. River view one side with terrace and hammocks. Beach at the other side of the property. Set in beautiful gardens with pool. 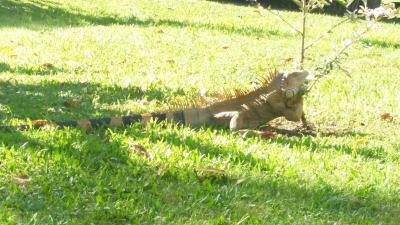 Wildlife in the gardens, birds and an iguana. A pool and space to relax outside and a beach near by. 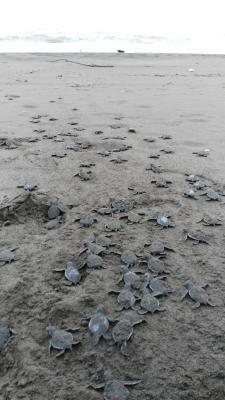 We kicked off our trip in Tortuguero and were pleasantly surprised by the excellent location. Very secluded but breath taking. 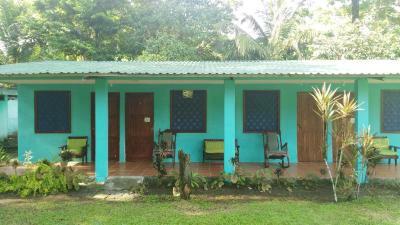 The small cabin, unspoiled nature, great food made us really rest properly. 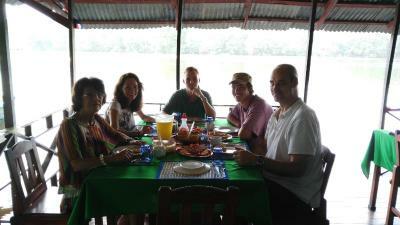 The owner organized everything brilliantly (pick up in Tortuguero and also boattrips etc. Amazing experience! Beautiful garden, nice patio at the river, cozy hammocks with stunning view. Great location with well kept tropical gardens full of flowering trees. Great restaurant /deck overlooking the river, plenty of wildlife passing by. Lots of birds around, giant iguana in the trees nearby! Look out for the leaf-cutter ants, they're fascinating. Quiet place Great to relax by the pool Above all, Willis and his wife and son were very welcoming and relaxed I'd recommend the wildlife boat trip with Willis' nephew Augusto, he was brilliant and much better than the other tourist trips who were packed into big boats - we got right into the small waterways with him. Didn't cost any more. 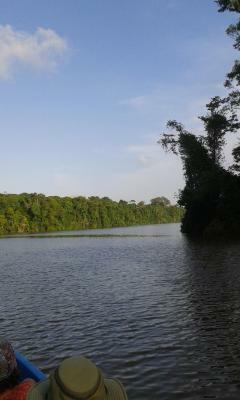 A piece of paradise 5 minutes away from the touristy Tortuguero village. Arrange the canoe tour directly with Willy (ask him to get Augusto as your guide, the guy can spot everything from caimans to bats!) and relax in the pool afterwards. Willis is a great host and will deliver some special wildlife opportunities! Missing his quirky humour and great hospitality already! Ricardo the boat-master is also an accomplished animal spotter and gave us an unforgettable tour down the less-explored canals! The hammocks by the river! The cold beer! Location can't be improved upon! Great help from the owners on planning our trip there. 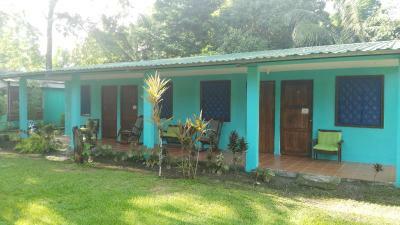 Featuring an on-site restaurant, All Rankins Lodge is located in Tortuguero, within the National Park. Free Wi-Fi access is available in public areas at this beachfront property. 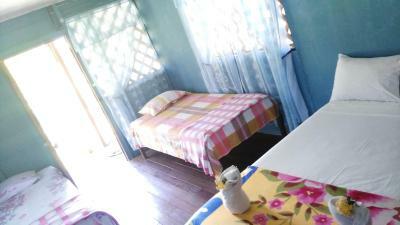 The functional and simple rooms feature a wardrobe and a private bathroom with shower. All the rooms also offer views of the garden. The restaurant at All Rankins Lodge is open from 06:00 to 20:00 and is specialized in Caribbean dishes and characteristic local cuisine. The property also has a bar. Other facilities offered at the property include a shared lounge, a tour desk and luggage storage. An array of activities can be enjoyed on site or in the surroundings, including hiking and fishing. The property’s garden features hammocks, and pets are allowed under request. 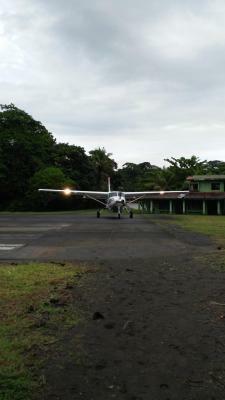 The nearest town can be reached in a 10-minute boat ride, while San José is 30 minutes’ flight away. When would you like to stay at All Rankins Eco-Lodge? Functional and simple rooms that feature a wardrobe and a private bathroom with shower. This twin/double room features a patio. House Rules All Rankins Eco-Lodge takes special requests – add in the next step! All children under 2 years are charged USD 10 per night in a crib. All Rankins Eco-Lodge accepts these cards and reserves the right to temporarily hold an amount prior to arrival. Please inform All Rankins Eco-Lodge of your expected arrival time in advance. You can use the Special Requests box when booking, or contact the property directly using the contact details in your confirmation. Rooms are basic as other reviews suggest, that was expected. But they need repainting and some refreshing of the finishes which are rough. On site breakfast ok first day but more basic the second day with less fruit and no rice (just one fried egg and bread). On site evening meal expensive at $25 for 2 people, compared to town. Could use friendlier customer service. Deck with hammacs overlooking the water. 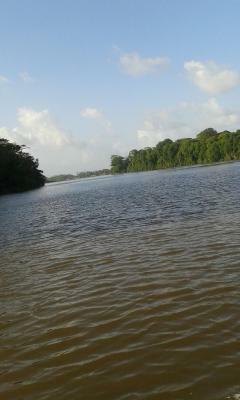 Free boat ride to town. Quite far from town, but Willis the owner will drop you there at 4pm each day and collect at 6.30pm. 30 minutes walk to the village center. 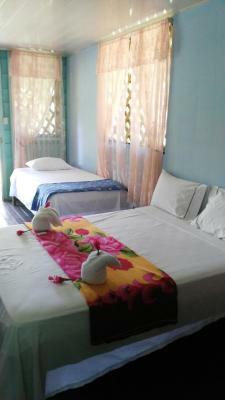 This is less expensive accommodation so while you get your own room and bathroom, it's very basic. Fan, no a/c. Poor room lighting. Basic furniture. Bathroom door wouldn't close easily etc. But we were quite happy there, and there were no bugs that we could see in the room nor around the restaurant. No WiFi in the bungalows. Not a big problem for me but could be at times an issue. There was a small group tour booked at the same time (not the vibe). Perfect location, nice garden and grounds, quiet and relaxing. Willis as his family are so very sweet. The facilities are basic but comfortable and clean. The food was also basic but good. He gave comp transport to town in the evenings. Overall, really great value for the price. Honestly, I do not see how you wouldn't like every second of this amazing place. I have nothing bad to say about it. First of all, I really do not understand how more people do not stay at this amazing location. 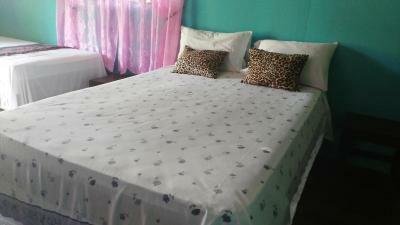 Why choose a trendy overpriced hotel in Tortuguero? What is the point? If your into that you should be visiting another part of the world. The property itself is beautiful. There are gardens and colorful plants every where. The rooms are very cute and homie. There are animals surrounding the property and the junge noises make for a very pleasant sleep. The beach is a 2 min walk from your room. No one is on it and it is beautiful. If you go to the trendy hotels, the beach will be filled with people and you will not get the same awesome experience. Willis and has family show an unbelievable amount of attention to detail and fairness.For example, he could have upsold me several times, but choose to provide me better service and trust because that means more than making a buck. I do not believe you will fond a more trusting or fair person in your life. Willis constantly cared for us by providing boat rides to and from where we wanted to go. He organized several tours and made the organization part of the trip easy. If everything above has not convinced you, just wait until breakfast. There is an unbelievablely tasty homemade marmalade/jam. If you are into spicy food like me, you will fall in love with the chilly sauce. I am literally crying right now because I do not know when I will taste this amazing sauce again. Choose All Rankins Lodge when you got to Tortoguero and you will not regret it. 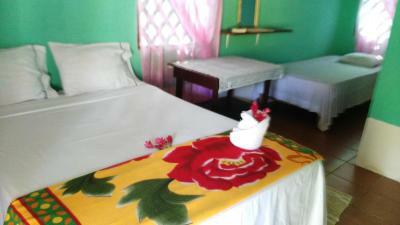 The beds can be improved upon, but that's a minor point, which doesn't take away from the amazing overall experience! The room was without windows and with very little privacy.